Google Home and Google Wifi aren't going to be able to fix the Internet of Things. But they will try to make it smarter and point it in the right direction. The Internet of Things — many of us have a less-kind name for it — wasn't going to be fixed in a day. It wasn't going to be fixed in the blazing sun in Mountain View in May, when Google first announced its plans for Google Assistant and Google Home. And it wasn't going to fixed today when Google announced more details of its long-awaited (I'd say "overdue," really) competitor for the Amazon Echo. And it's not going to be fixed a month from now, when Google Home ships. Or a little later in the year when Google Wifi joins it. No. The Internet of Things is vast and complex, and we're lucky to have a hub that manages to even loosely wrangle all those things together. That's what we've got with the Echo — with "Alexa" — today. We've got a semi-smart connected speaker that, while having seen its intelligence grow by leaps and bounds over the nearly two years of its short life, still remains shackled by the fact that Amazon isn't Google, and you're only as smart as what you know. Alexa tends to hit that wall quicker than you'd expect. Amazon isn't Google, and you're only as smart as what you know. Alexa tends to hit that wall quicker than you'd expect. And that's where Google has always had the leg up. What Google does — especially these days in the new era of "machine learning" — is about intelligence. And that's where Google Assistant comes in. We've only gotten a taste of it so far, in the not-quite-a-must-download Allo messenger app. But you can be sure this new iteration of Google Now (RIP) is a major part of the future of Google as a search company. Ask and it'll answer. Command and it'll obey. While the list of initial IoT partners is small — Philips Hue, Nest, Samsung SmartThings, and IFTTT — it runs the gamut, for sure. And that list certainly will grow once Google opens the APIs to more developers later this year. And while we still have a good bit of exploring to do once we get Google Home into our homes, it already appears that it'll be able to control all our things at least as well as Echo, if not better. If you've got Philips Hue lights and ever tried to have Alexa change the color, you'll know what I mean. And finally, there's the simple fact that Google Home is a traditional Google Cast target. That is, if you can play it on your Android device you can have Google Home play it instead, via the Cast protocol, and not have to deal with the vastly more clunky Bluetooth. That's the nozzle on the hose, though. Google hasn't forgotten about where the water comes from in the first place, with Google Wifi. A single router is fine for a lot of uses. But as we connect more and more things in the farthest reaches of our homes, it's just not good enough. Google Home and Google Wifi have shortcomings at the outset, but they'll grow over the coming months as is the Google Way. And price is as important as simplicity when it comes to something you're supposed to purchase in multiples. Shelling out $299 for three Google Wifi units isn't quite an impulse buy, but it's also a good chunk cheaper than the competition. And it also means that my garage will be as covered as my living room. 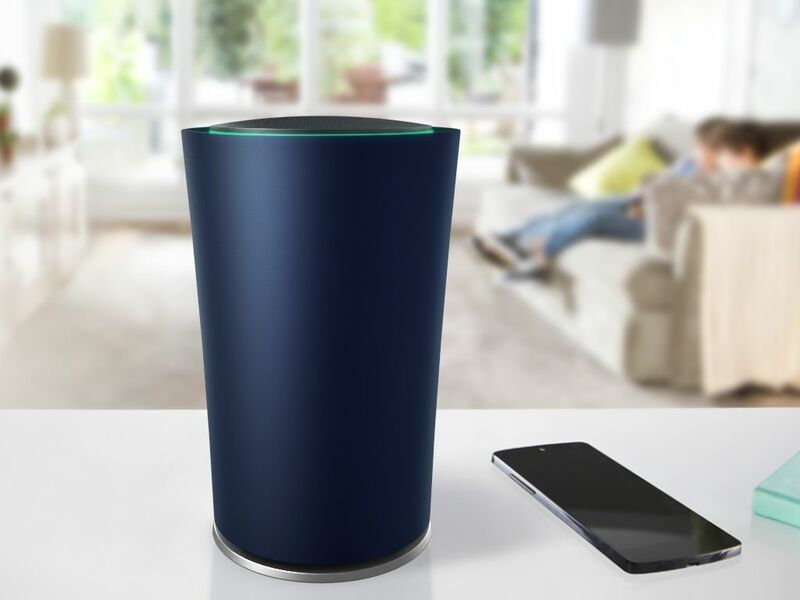 Those of us who own one of Google's two OnHub routers — those sort of random releases from 2015 — got a bit of good news in our inboxes. They'll work just fine with Google Wifi. It'll require a software update, but everything will run on the same Google Home app, and you can use the Google Wifi units to extend your current network if you don't want to blow things up and start from scratch. So we now have a more intelligent way to connect to the internet in Google Wifi. And Google Home finally brings the intelligence of Google out of our pockets and into our homes. And whatever shortcomings Google Home and Google Wifi have at the outset, you better believe they'll grow over the coming months. The question, as always, remains whether Google will be able to sell them in any numbers in the first place.